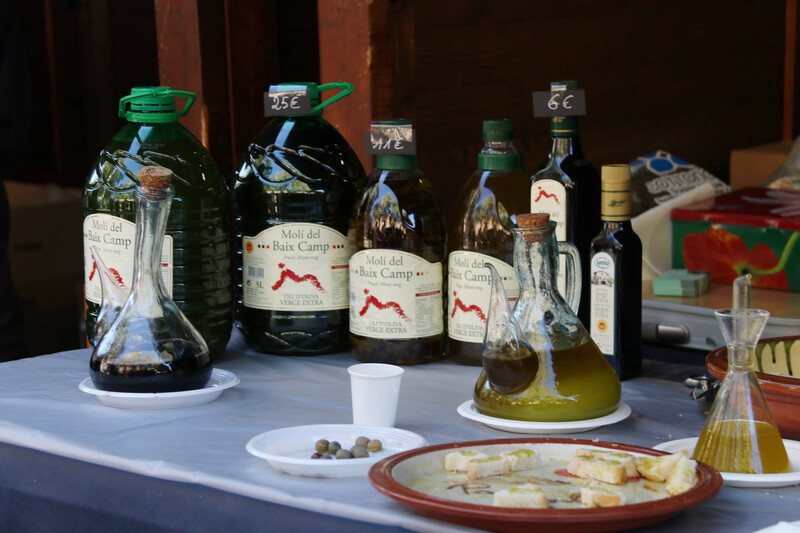 Tarragona hosted the 17th Olive Oil Fair of the denomination Siurana this weekend, where 16 oil-producing cooperatives from various regions in Catalonia come to ply their trade, all within the DOP Siurana protected denomination of origin, which forecast an average production of around 5 million kilos of oil this year. At the fair in Tarragona, which included producers from Baix Penedès, also famous for its cava production, and other areas of Catalonia that fall within the designation of origin such as Tarragona and Ribera d'Ebre, both to the south of the country. A wide variety of activities were on offer, such as oil tasting, “showcooking,” and snacks with oil and chocolate for the peckish and curious. Despite the effect of the drought, olive oil production in 2017 has actually increased when compared to 2016, when the year closed with 4.7 million kilos of oil produced, even though this figure was not expected to exceed 3.5 million kilos, also because of a drought. Among the challenges faced by the denomination of origin, is that of bottling all the oil produced. According to the president of the Siurana regulatory council, it is a “slow process that does not happen overnight or year by year.” That said, 70% of the oil has already been bottled, often done so in smaller vessels which have more added value. Galceran explained that although the five-litre bottle “is the star”, four-litre bottles are most successful, and usually end up being sold to restaurants and hotels, both of which the chairman considers to be “very important” sectors. Exports of DOP Siurana olive oil have also been increasing, with the finished product being exported to Germany, France and Nordic countries, but also reaching as far as the USA, and even China and Japan. In order to qualify for the seal of quality that is the Denomination of Origin Siurana, there are a number of standards that must be met, such as the use of the arbequina variety of olives. The oil must also be produced within the geographical area within the denomination, elaborated under specific rules, and controlled according to certain parametres of quality.